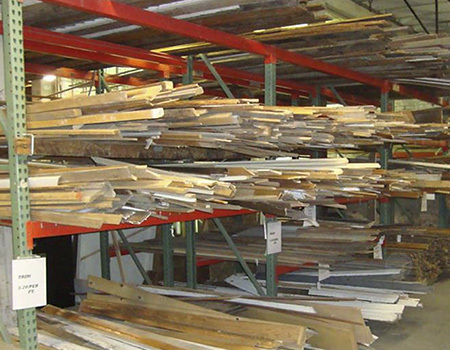 JISC, through its Center for Sustainable Construction, established a salvaged materials sales venue as an alternative to the usual demolition and disposal of building materials as waste. EcoStores, located at 530 P Street in Lincoln, Nebraska, opened its doors in 2004. The stated mission of EcoStores is to provide a chance for good material to be reused, to be an economic alternative for the community and to reduce building material landfill waste. EcoStores is organized to stimulate and supply the re-use and recycling of construction materials back into the economy of construction in eastern Nebraska. Since its inception, EcoStores has recycled over 1,200 tons of materials, diverting them from landfills. In 2007, EcoStores received 146,500 pounds of donated building materials from businesses and individuals. Another 176,000 pounds of building materials were salvaged through their deconstruction efforts. These efforts resulted in a total of 322,500 pounds of building materials being diverted from the landfill. This was an 83% increase in the amount diverted from the previous year. Curious as to what is in stock? Visit the EcoStores website for a list of materials currently available in the warehouse.